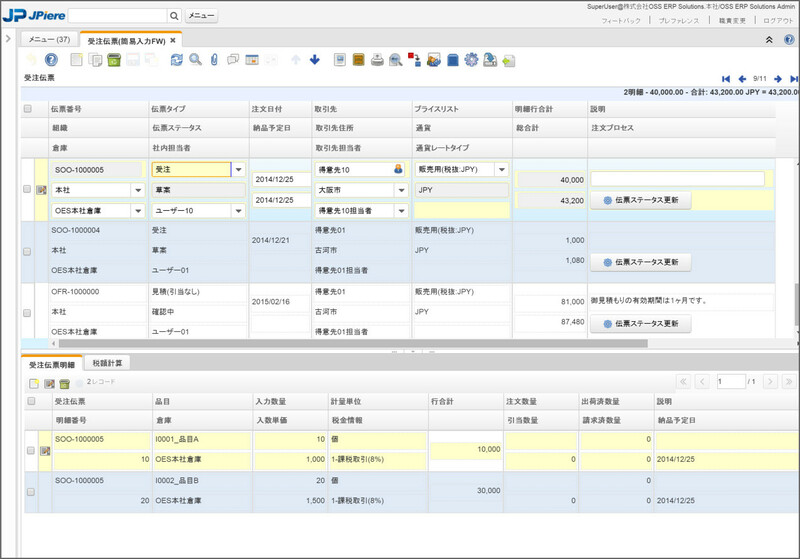 JPiere Plugins(JPPS) is plugins that is not relation a Japanese business practice. JPPS is useful for not only Japanese, but also everyone. Everyone can select to install plugin. JPPS is independent from other plugins of JPiere. 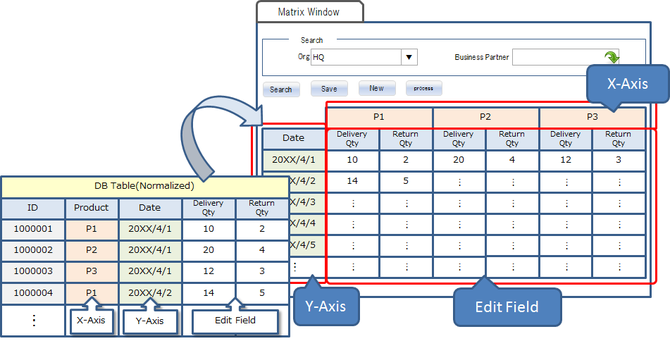 ZK Window X1 introduces more columns within a column. You can use ZK Window X1 in stead of standard window of iDempiere. ZK Window X2 introduces more rows within a row. 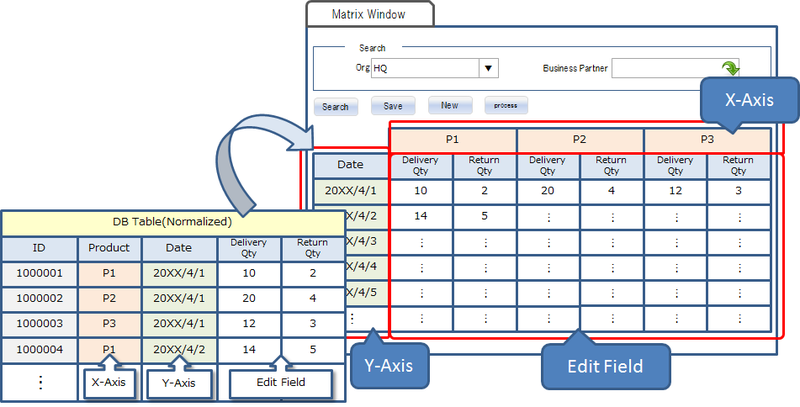 Matrix Window can create a denormalization window from normalization table. 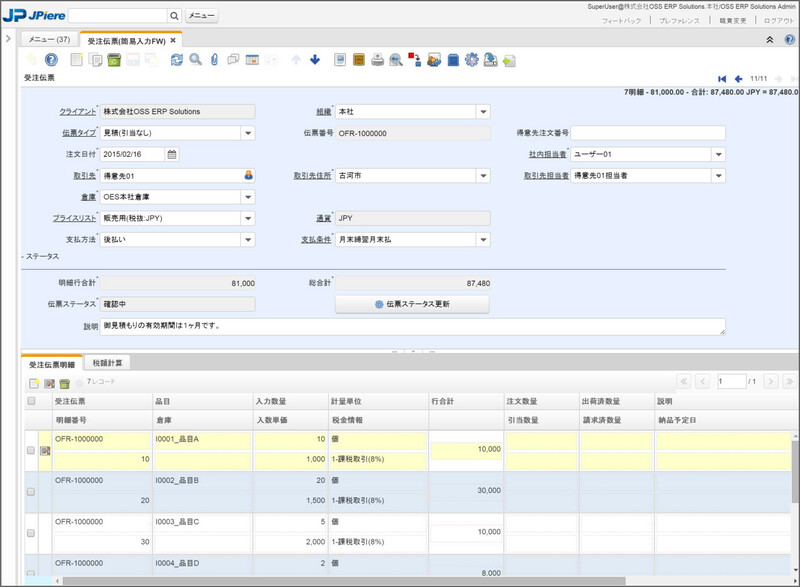 The purpose of Simple Input Window is to input data easy and quickly.Simple Input Window can edit only one tab of standard window. In stead of that, Simple Input Window can input data easy and quickly, and can operate like a spreadsheet.Tab key to jump horizontally, and Enter key to jump vertically down. Information Gadget can display information at dashboard gadget. Information Gadget has a title and content. the content can collapse. 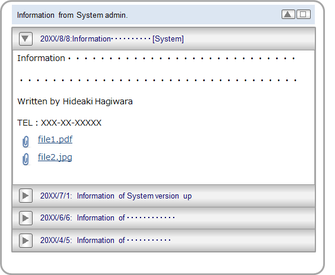 You can display name of user who is publish information. And you can select display position it. Information Gadget can do paging and can restrict how many records can display. 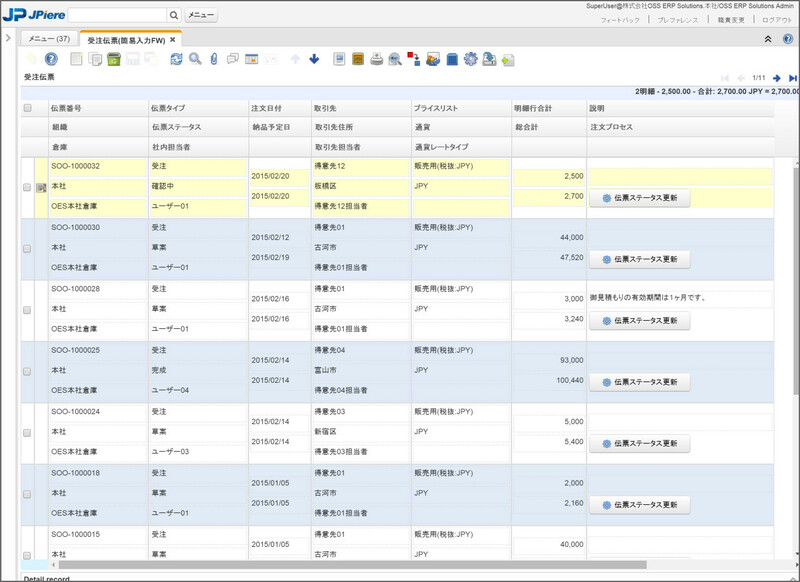 Information can distinguish by Information Gadget category. And information can display per Information Gadget category. You can set the public date and time of the information. You can attach some files to the information. You will delete records in iDempiere/JPiere when you perform Delete Client and Initialize Client Process. JPiere provides 5 ways that delete records as follows. Delete a Client ---> Delete a Client can delete all data in a client that you select. Delete a Client Transactions ---> Delete a Client Transactions can delete all transaction data in a client that you select. Delete All Clients Transactions ---> Delete All Clients Transactions can delete all transaction data in all client. Initialize a Client ---> Initialize a Client can delete transaction data and master data. All transaction data is deleted basically. And master data is deleted by Definition of Delete Profile . Custom Delete ---> Custom Delete can delete data according to Definition of Delete Profile . You can delete a Client data flexibly.